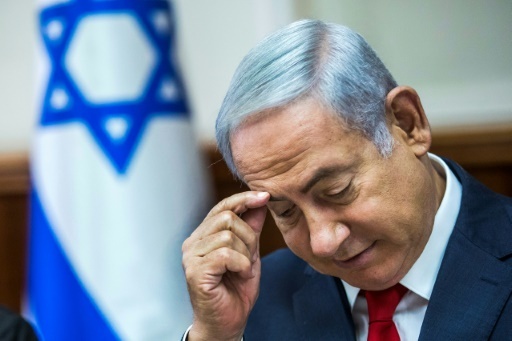 Jerusalem (AFP) – Israeli Prime Minister Benjamin Netanyahu has defended allowing Qatar to transfer millions of dollars to Hamas-run Gaza despite criticism from within his own government over the move aimed at restoring calm after months of unrest. Netanyahu’s remarks late Saturday were his first on the issue since Israel allowed the money transfer to the enclave controlled by Hamas, which Israel, the United States and European Union consider a terrorist movement. AFP / SAID KHATIB. 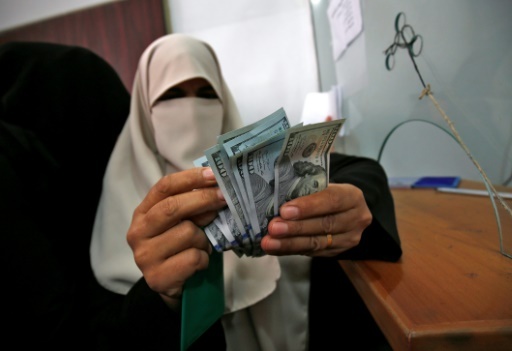 A Palestinian woman counts her money after receiving her salary in Rafah in the southern Gaza Strip on November 9, 2018. 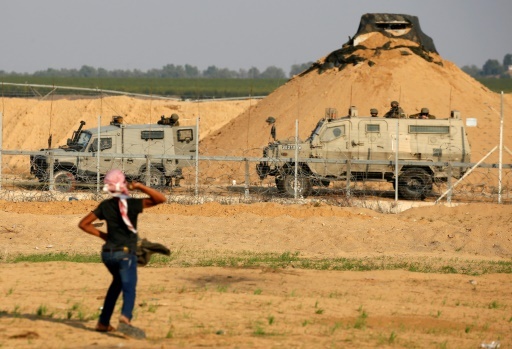 “I’m doing what I can, in coordination with the security establishment, to return quiet to the southern communities, but also to prevent a humanitarian crisis,” Netanyahu said, referring to Israeli towns near the Gaza border and deteriorating conditions in the enclave. “We held serious discussions,” he said ahead of his flight to Paris to join world leaders marking the centenary of the end of World War I. 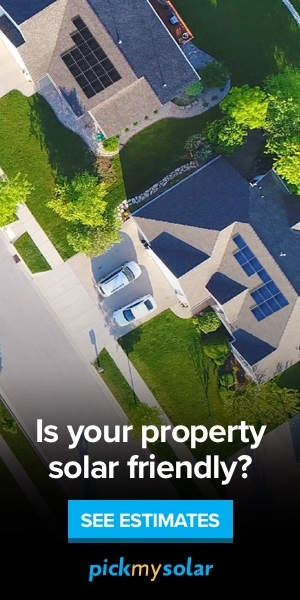 “I think we’re acting in a responsible and wise way,” he said. Naftali Bennett, Netanyahu’s education minister and right-wing rival, compared the cash flow to “protection money” paid to criminals. AFP / Said KHATIB. 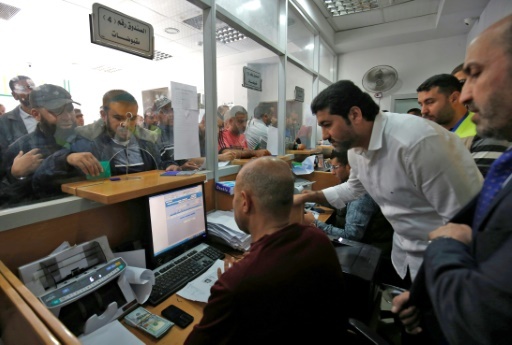 Palestinians line up to receive their delayed salaries in the cash-strapped Gaza Strip on November 9, 2018 after Israel authorised Qatar to transfer funds into the territory. “I do not shrink from a necessary war but I want to avoid it when it is not essential,” Netanyahu said at a press conference for Israeli journalist accompanying him in Paris. “First of all calm and afterward to look at the possibility of an agreement. We’re not there yet and I can’t promise that we shall get there,” he said Sunday. But if the current lull in border violence was not maintained, he pledged to use “maximum force”. Netanyahu’s political opponents on the right and left have criticised the Gaza cash deal. AFP / Said KHATIB. A Palestinian protester hurls rocks at Israeli forces during a demonstration near the border between Israel and Khan Yunis in the southern Gaza Strip on November 9, 2018. “You might buy short-term quiet, but you accustom the other side to applying violence as a way of advancing its interests,” Bennett, a member of the security cabinet, told public radio Sunday. Defence Minister Avigdor Lieberman said he had opposed “transferring the money to Hamas”. The Gulf emirate has also started buying additional fuel for Gaza’s sole power station, allowing outages to be reduced to their lowest level in years. Featured Photo: POOL/AFP / JIM HOLLANDER. Israeli Prime Minister Benjamin Netanyahu has defended allowing Qatar to send millions of dollars to the Hamas-run Gaza Strip despite criticism from within his government.